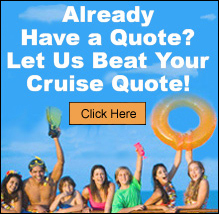 Windstar Cruises - Just Cruises Inc.
Cruising, Windstar Style. Always 180° from Ordinary. 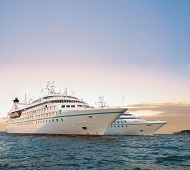 Windstar’s small ship luxury cruises feel like your own private yacht - luxurious amenities, gourmet cuisine, exceptional service, unique and exotic ports of call. With fewer than 300 guests, Windstar’s yachts are small enough to reach places other ships can’t go, yet large enough to pamper and entertain you. Windstar visits places like the Greek Isles, Italy, Europe, the azure waters of the Caribbean, Asia, and the lush paradise of Tahiti. The yacht style cruises give you the ultimate luxury - freedom. Throughout the ship you’ll find an intimate and refined ambiance, with an emphasis on expansive choices, unfettered access, and the liberty to do…whatever you desire. With fewer than 300 guests, everything about Windstar’s style of small ship cruising - from how and where you take your meals, to where and what you do on shore - is all about you. The service is welcoming and intuitive, with the same casual elegance you feel throughout the yacht.